Shiatsu Kush is an Indica strain grown by Cascade Valley Cannabis. We had Cascade Valley in our shop recently to debut our new vendor days. Cascade Valley brought in some of every flower that they grow and a ton of wonderful pre-rolls. 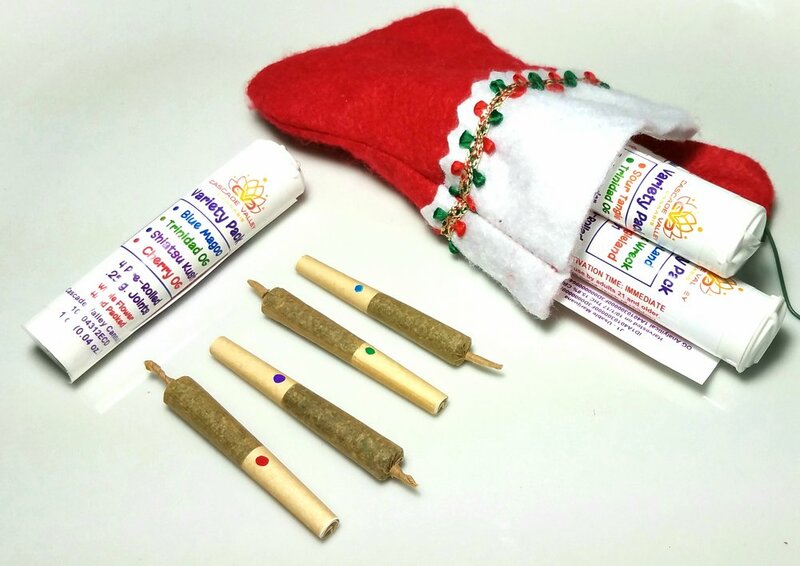 I bought their Stocking Stuffer holiday pack of pre-rolls and I have been doing an advent calendar of sorts, smoking a different pre-roll every day until Christmas! My favorite so far, to my great surprise, was the Shiatsu Kush. I tend to be a Sativa flower person, and I usually tend to dislike strains with strong terpene notes of petrol or diesel. So imagine my surprise when it turns out that I love an Indica strain with strong notes of petrol and pine. Shiatsu Kush is a fairly high percentage strain at 17% and I only needed about half a bowl to feel a strong high. There was a great amount of body high to this strain, I felt a tell-tale tingling over my skin. The high was heady but not sleep inducing, and I didn't feel a strong urge to eat like I have on other Indica strains. I had a great mood boost, and had a lot of fun watching some 90's comedy movies on Netflix with my partner.